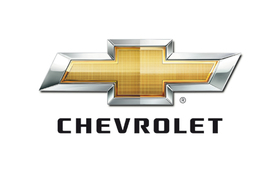 MUNICH -- Chevrolet is distancing itself from Opel in Germany. Chevrolet Germany will move out of Opel's headquarters in Ruesselsheim into its own offices by February, said Markus Leithe, Chevrolet's top executive for Germany. In addition, Chevrolet wants its own dealers. Currently Chevrolets are sold alongside Opel and Saab cars at many GM dealers in Europe. "We have ambitious growth plans and we will act more confidently with our brand than in the past," Leithe said. General Motors Co. owns Chevrolet and Opel. In Europe, Chevrolet is marketed as a value brand and it competes against low-priced cars from Asian automakers. Opel is positioned higher and is a rival to Volkswagen brand and Ford Motor Co.
"Our cars keep getting better and just a bit more expensive," Wayne Brannon, Chevrolet's European chief, told Automotive News Europe sister publication Automobilwoche. "That puts us a little closer to Opel." Chevrolet wants to double the number of its models sold in Europe by early 2013, Brannon said. They will include the Camaro sports car, which is due arrive in Europe in 2011. Brannon said Chevrolet aims to sell a million cars a year in Europe within five years, up from 500,000 this year. The total for Chevrolet's European sales includes Russia and Turkey.